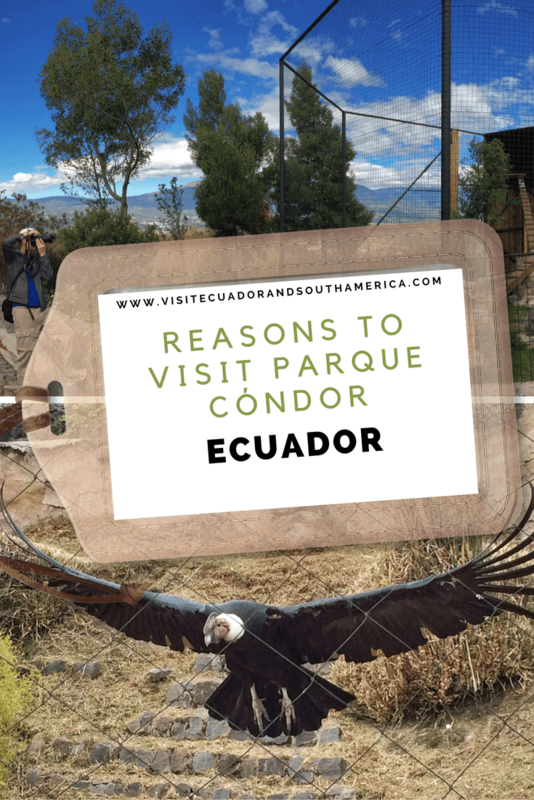 One of the favourite places to visit on my way to Otavalo and Ibarra is Parque Cóndor. This is not only a great place to enjoy some astounding postcard views, but also to help teach and raise awareness about the importance of environmental conservation. If you do not have a car, the easiest way to get there from the city of Otavalo is to take a taxi. 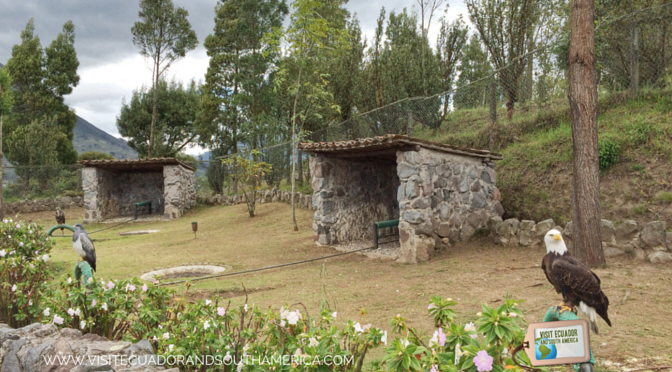 The park is located 5 minutes away from Otavalo, in the hill called Pucará Curyloma, at 2 800 msnm. 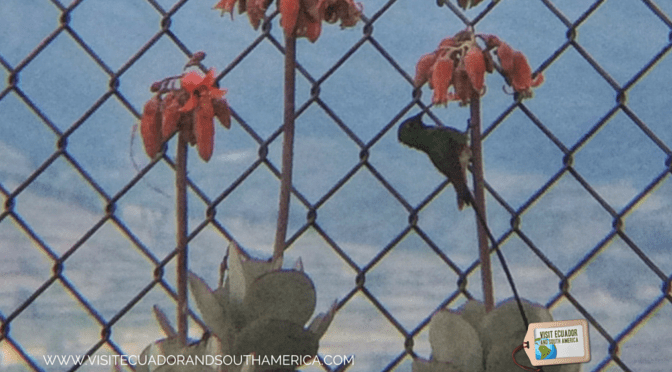 If you have a car drive the Panamericana highway, and near the gas station in Otavalo, take the street Piedrahita through a paved road that brings you straight to the park. Bring a hat, sunscreen, a jacket and comfortable shoes. You can start your trip by booking a night´s stay at one of the lovely haciendas outside Otavalo, like the charming colonial manor house Hacienda Pinsaquí. I love this charming quiet hideaway located 5km from town, offering history, spacious rooms and excellent service. 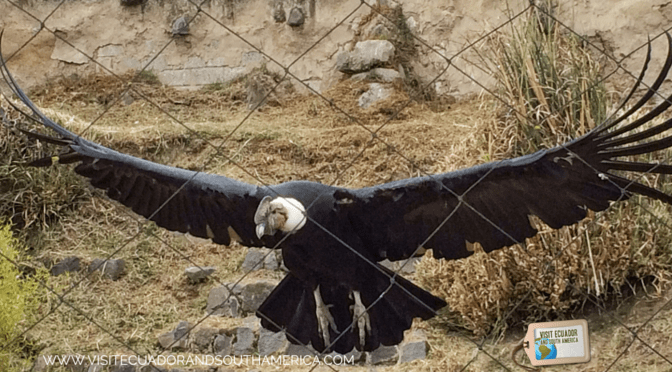 You can find some other great places to stay in Otavalo or if you want to make this a day trip from Quito, here are some great places to stay in Quito. 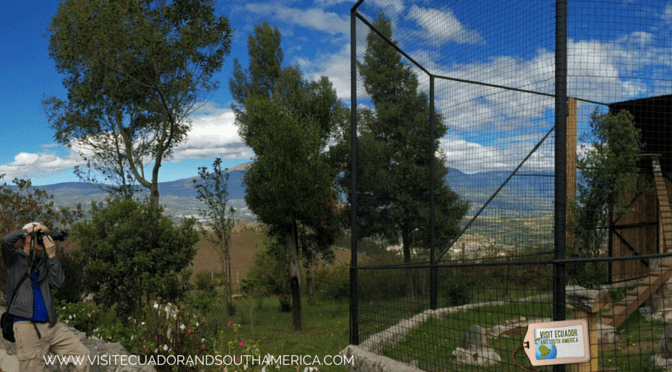 Parque Condor is located on top the Pukara alto hill, providing an amazing 360 degree panoramic view over Imbabura & Cotacachi volcanoes, the town of Cotacachi and Cuicocha crater. 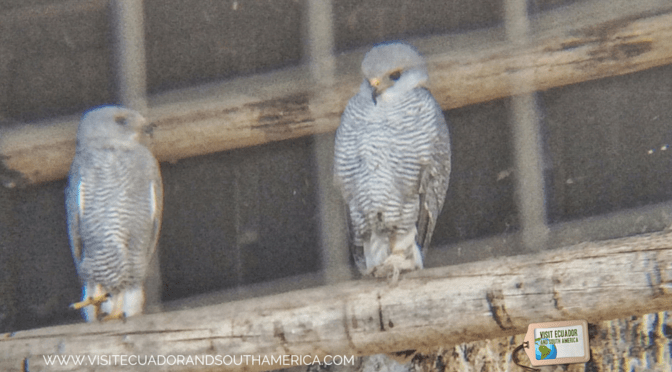 It is a non-profit wildlife refuge for owls and raptors, including the endangered condor. 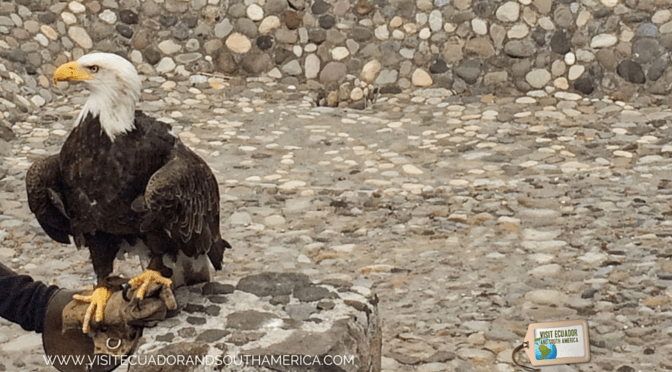 The main aim of the foundation founded and sponsored by the Dutch Embassy, the German center for predatory birds and several Ecuadorian organizations is to take care and rescue predatory birds such as eagles, hawks, owls and condors. 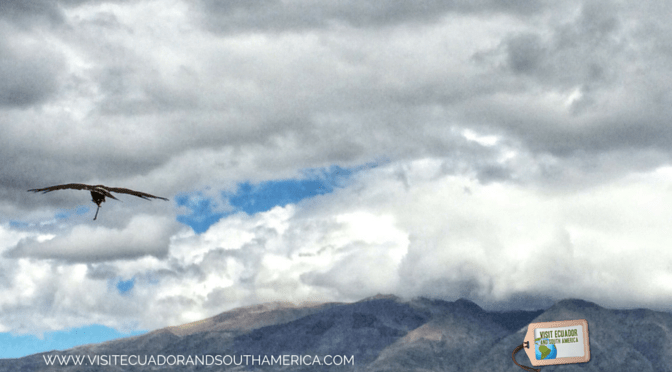 In addition, the aim of Parque Condor is to create awareness about the environment. Their work is extremely important as means to help environmental conservation. It is important to note that none of the birds in the park are captured; they are collected injured birds that are kept to help heal. Due to the effect of media and movies, birds are and also have been erroneously considered as dangerous. So, here visitors get to know more about them. Thus, learning that they are not to be feared contrary to common belief. Furthermore, one of the best features of Parque Cóndor is the educational bird show that takes place at 11:30am and 3:30pm. Visitors will sit and get to learn more about the aim of the foundation while they get to admire free flight demonstration of birds, such as the American bold eagle and other small birds. In addition to this, the Parque Cóndor a small restaurant and a playground. In conclusion, I can say that despite having been here twice already. I always find Parque Condor a great place to spend some hours outdoors, learning about our role as human beings with the environment. In addition, a visit to this place is very rewarding. There is an impressive amount of displays with live birds that are there for rehabilitation. Furthermore, you get a breathtaking view overlooking the valley and great photography opportunities.